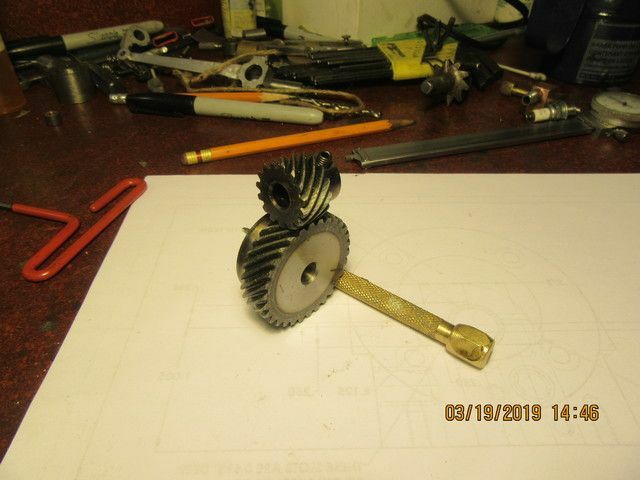 You fellows may remember---When I was chasing down helical gears for the sideshaft hit and miss engine I built, I bought a pair with 2:1 ratio off Ebay for $12.00 which is about $90 less than I paid for a set made in USA. I used the made in USA gears from Debolt to build my engine, but had the Ebay Chinese gears left over. 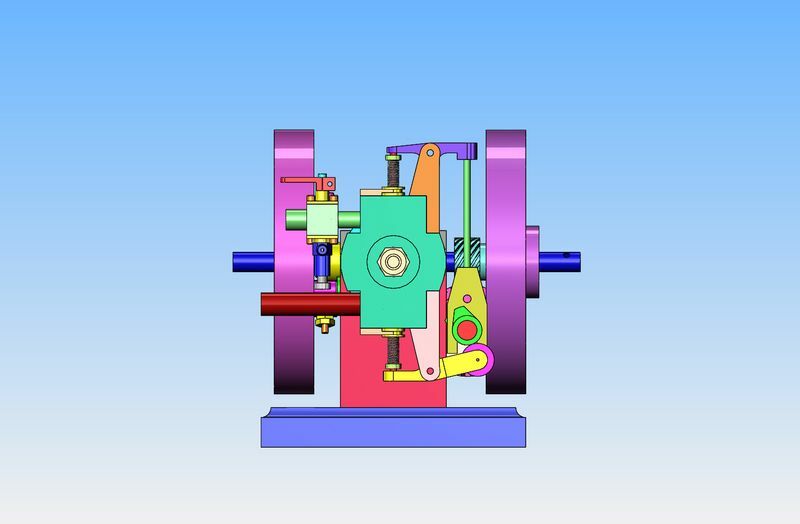 I watched a YouTube video of an Edgar Westbury engine called the "Centaur" and was very impressed with the valve and sideshaft arrangement on it. Grandma was right--Idle hands truly are the devil's workshop. 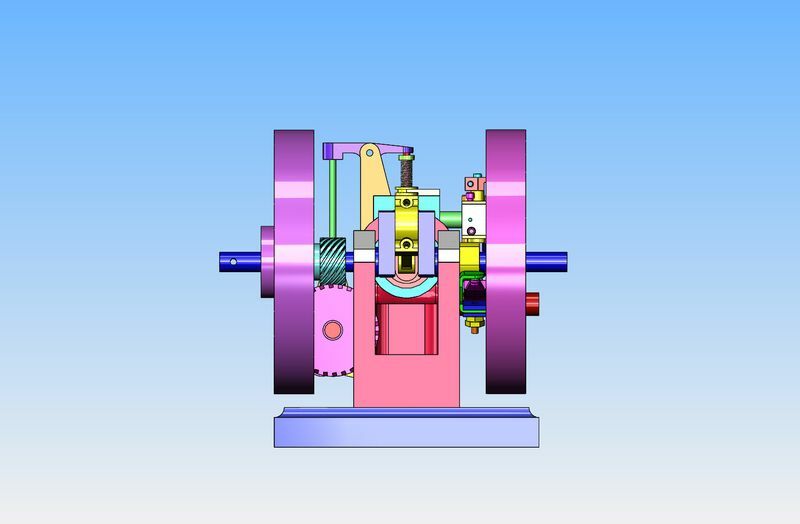 I was bored this week, so I've been messing around designing another sideshaft engine which uses the Chinese helical gears, and a valve arrangement similar to the Centaur engine. 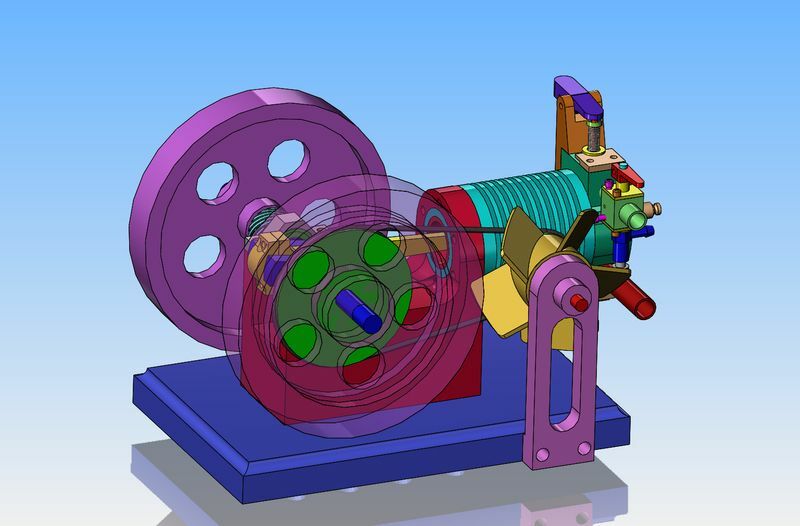 It's not a hit and miss engine--just a 4 cycle open crankshaft engine with a throttled carburetor. I might never build it, but it is interesting. 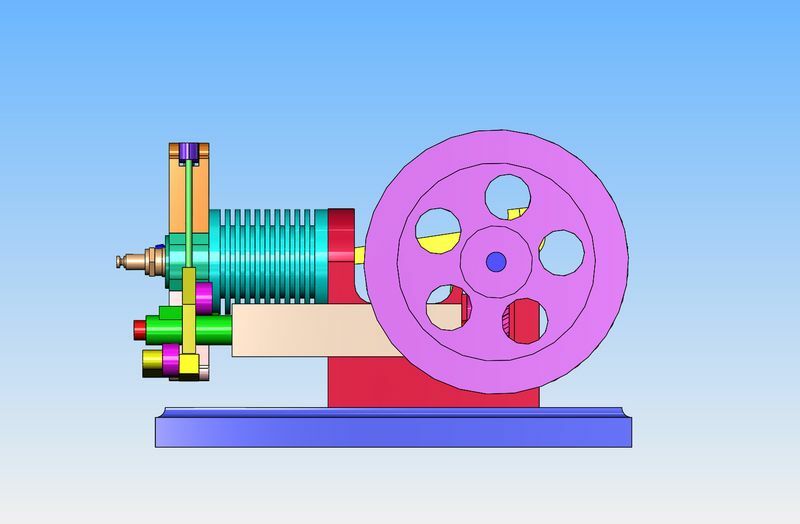 The engine has a 1" bore and a 1.375" stroke and is air cooled. 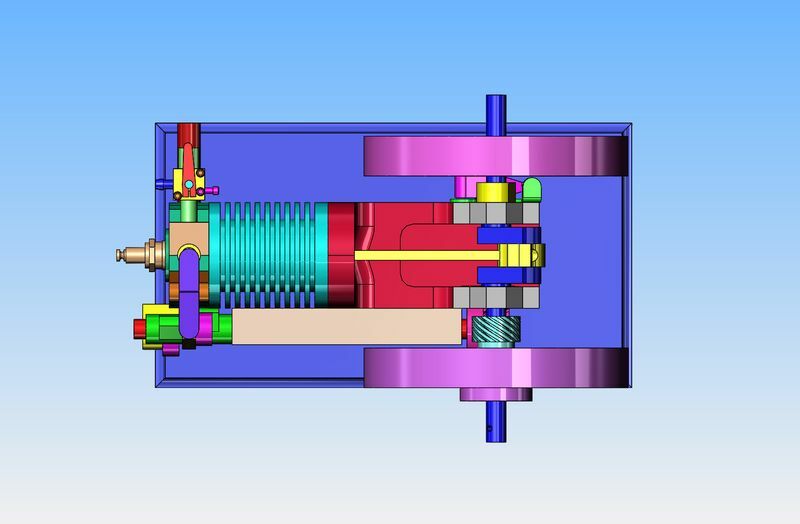 I will probably design a fan on the side opposite from the sideshaft and drive it with an o-ring drive belt from the crankshaft. Brian, we all hope you will build it and be very satisfied with the outcome! The main chassis of the engine is interesting. It is hogged out of a block of 2" thick 6061 aluminum. 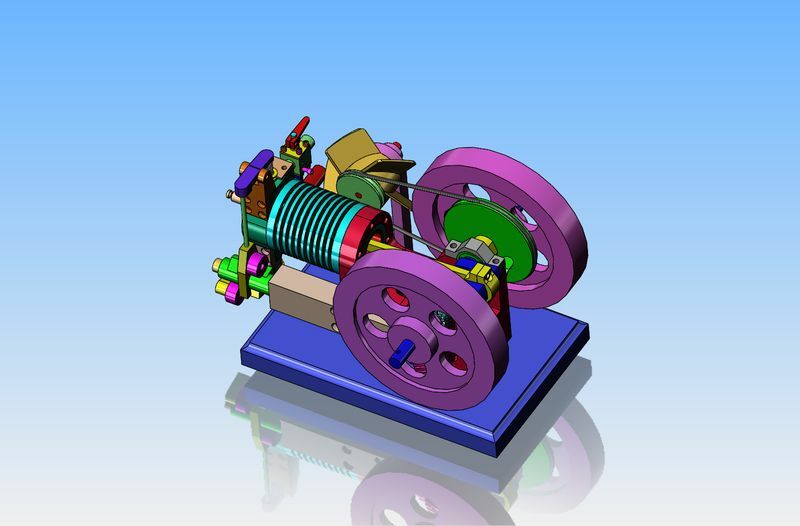 This is a link to a working model of the Centaur engine. I might never build it, but it is interesting. It will fit---barely.--See that big slot cut in the side of the main frame in post #4.--that is in there to accommodate the large gear. 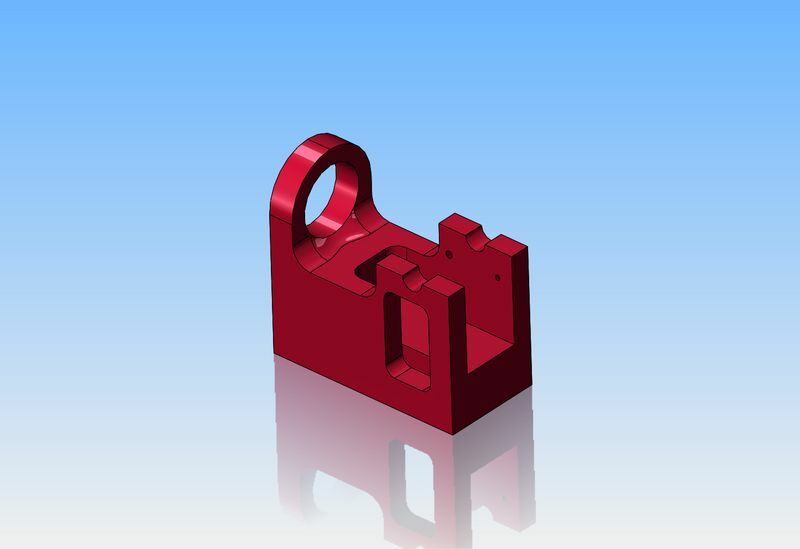 Of course, if you have an air cooled cylinder, it's always a good idea to have a cooling fan. I dug around in my "odds and ends" drawer and found the perfect size plastic fan. I also dug around in my aluminum box and found a scrap of 2" aluminum large enough to make the main engine body from, and a piece of 3/4" material large enough to make a base. I spent a couple of hours this morning putting in all of the tapped holes and clearance holes to put this thing together. Last edited by brian Rupnow; 03-20-2019 at 11:29 AM.